Tropolism: Pop-Up Park, In Action! 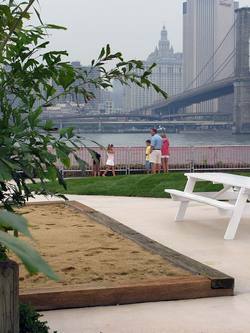 The Brooklyn Bridge Pop-Up Park, the very same park where we coined the term "Pop-Up Park", is suddenly open! Just in time for Olafur's Waterfall Day 2008. 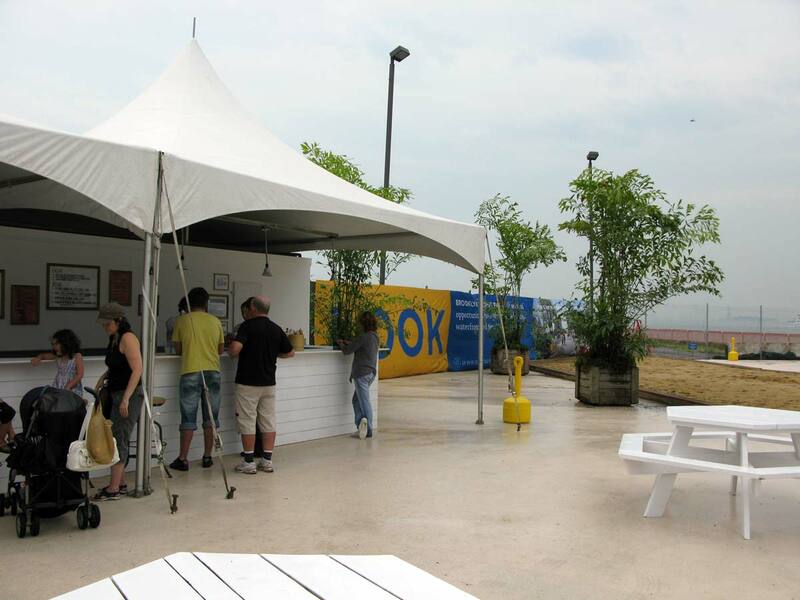 Like a pop-up store, the pop-up park builds brand awareness. Except in this case, it's more like public-space-useability awareness. And nothing says public space awesomeness than the bare bones of what's there now: Lawn, benches, some plants, and a great place to get summer eats. And, refreshingly, it's all low tech, yet modern. We mean this as a compliment: it's not some overwrought construction for PS1 Warmup (SHoP, nArchitects, and Work AC's entries being the exceptions, of course). It has the feeling of a summer deck the community put together, BYO Lawnchair. 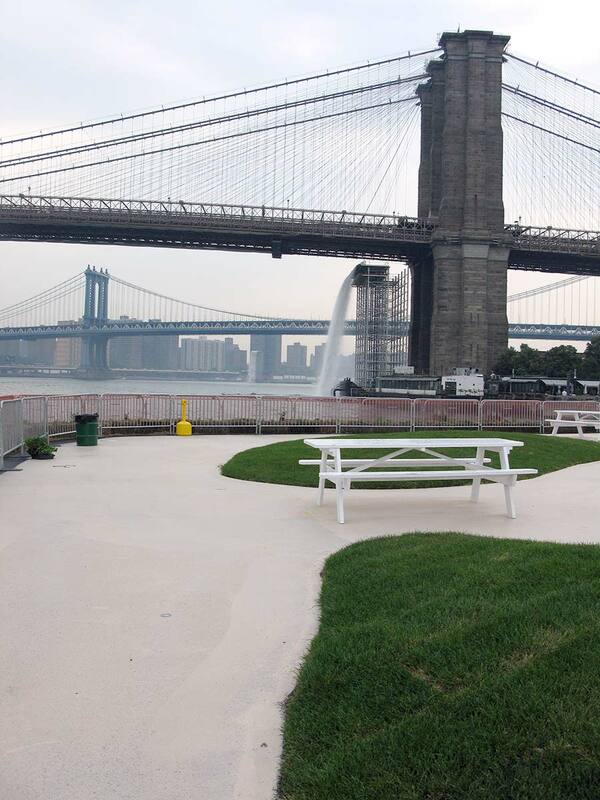 Pictures from special correspondent Susannah Drake, founder of dlandstudio, designers of this episode of Pop-Up Park.